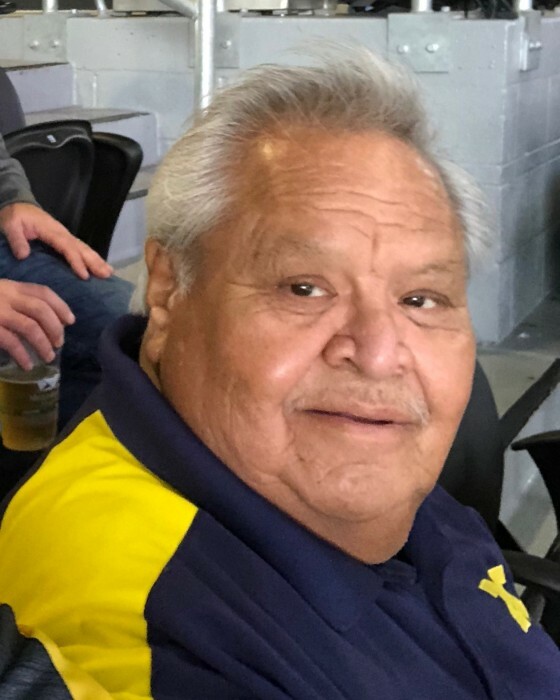 Valentine 'Wally' Galaviz, age 74, died unexpectedly on March 28, 2019. Wally was preceeded in death by his wife, Bonnie, and brothers, Felix and Eligio, and daughter in law, Terena Galaviz. Wally is survived by his children Miguel Galaviz and Lucas (Anne) Galaviz, his sisters Josephine (Margarito) Salazar, Angelita (Salvador) Lopez, and Juanita (Ron) Richmond, and his beloved grandsons, Isaac, Grady, and Magnus. He is also survived by many nieces and nephews. Wally thought the world of his grandsons and spent every possible minute making sure they knew that. Wally loved golfing, U of M sports, the casino, supporting Lakewood Athletics, and camping. Wally had a passion for youth sports, not only cheering them on but also coaching them for many years. He could always be seen with a smile on his face and ready to give a hug.